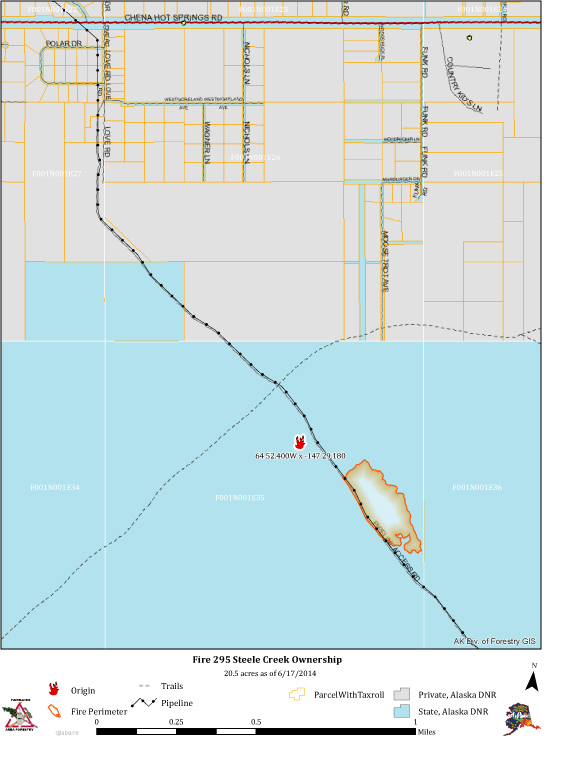 June 17, 2014 11:30 a.m.
(Fairbanks, AK) – The Division of Forestry Initial Attack firefighters responded to a wildland fire late Monday afternoon just south of 4 Mile Chena Hot Springs Road on the east side of Fairbanks. The combined efforts from air and ground forces halted the fire’s growth by late Monday evening to 45 acres. Dry, windy conditions fanned the lightning-caused fire that burned actively in black spruce. Heavy air support included four air tankers dropping water and retardant, plus two helicopters worked the fire with water buckets. Cooler temperatures and calmer winds kept fire activity to a minimum overnight. 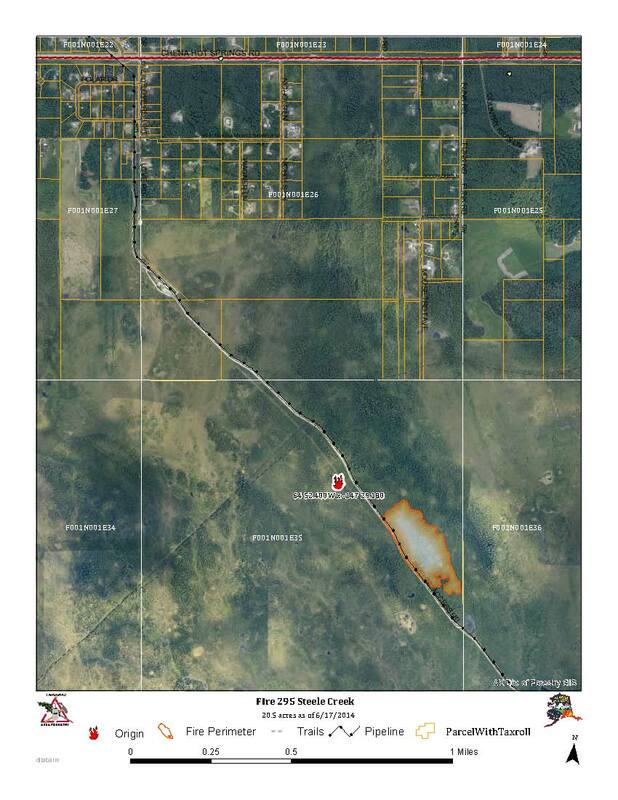 Fire crews initially assigned to the Steele Creek Fire included White Mountain, Tanana Chiefs, and Fairbanks #2, along with support from eight smokejumpers. The White Mountain crew was released at end of shift last night. The Delta #2 crew will be arriving Tuesday. Approximately 50 firefighters are working to secure the fire perimeter.